An excellent appetizer for a dinner party or family get-together, our portabella mushroom appetizer recipe is easy to whip up quickly. 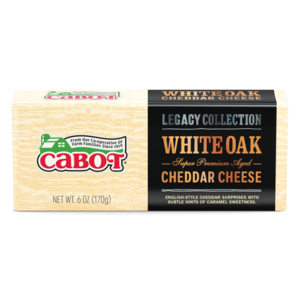 The recipe makes for ten servings, and it features a delicious blend of hearty portabella mushrooms, flavorful cremini mushrooms, brown sugar, onion and plenty of Cabot White Oak Cheddar Cheese. While these balsamic mushroom bundles are ideal as finger food for a dinner party or get-together, they also work well as a mid-afternoon snack or as an appetizer before dinner. If you think your family and friends might enjoy making the recipe, please go ahead and share it with them on Facebook, Pinterest, Instagram and Twitter. This portabella mushroom appetizer recipe is out-of-this-world—by combining cheddar cheese with mushrooms, you end up with a scrumptious treat that offers up some unrivaled flavors. In order to make the dish, you’ll need the following ingredients: eight ounces of baby portabella mushrooms, four ounces of Cremini mushrooms, a quarter cup of diced shallots, two cloves of garlic, some olive oil, two tablespoons of balsamic vinegar, two teaspoons of brown sugar, a half package of phyllo sheets, four ounces of Cabot White Oak Cheddar Cheese (shredded) and one tablespoon of Cabot Unsalted Butter. The directions below highlight everything you need to know about preparing the dish. Did you enjoy making our balsamic mushroom bundles? We hope so. If you’d like to make another mushroom-themed dish, then consider trying our stuffed Portobello mushrooms recipe. We’re confident that it’ll be a winner at your home. 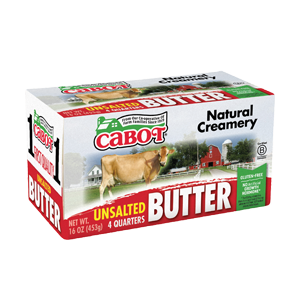 Cabot is a cooperative of 800 farm families, and we work hard every day to produce our diverse array of award-winning dairy products. We’d love to hear your thoughts about our portabella mushroom appetizer recipe. After trying it, please feel free to rate and review the dish. HEAT olive oil over medium high heat in a skillet. Add garlic and shallots, cook for 1-2 minutes. Add diced mushrooms, stir to mix. Cook mushrooms for 3 minutes, stirring frequently. COMBINE balsamic vinegar and brown sugar in a small bowl or measuring cup. Add balsamic mixture to mushrooms. Cook until liquid dissolves and becomes a glaze, about 5 minutes. 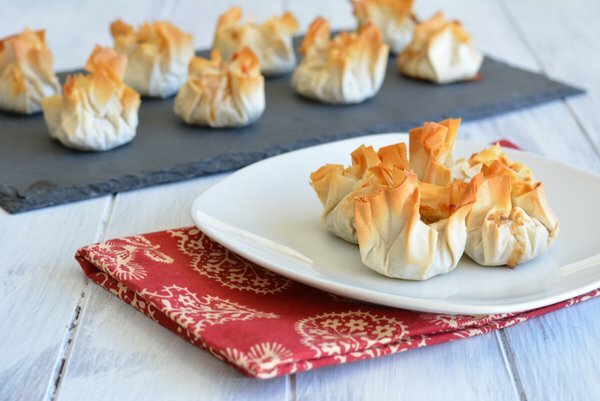 LAY out one package of phyllo sheets, cut in half along the fold. (There may be two packs per box.) Set one half aside (if you are careful you will not need it and may be able to save for another time). TAKE 1 phyllo square and brush lightly with melted butter. Place a second phyllo sheet on top of the first and brush with melted butter. Repeat until you have four sheets stacked (you do not need to butter the 4th sheet). Cut this phyllo stack into 4 equal squares. In the center of each square place 1/2 to 1 tablespoon of mushrooms, and 1/2 to 1 tablespoon of cheese. Gently gather the edges of the phyllo around the filling and gathering in at the top, pinching the phyllo closed. Repeat steps until you have made about 20 bundles. Recipe and photo courtesy of Nourished Simply.